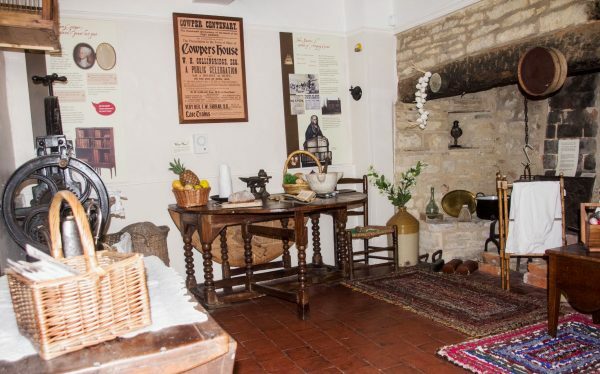 The main entrance to the Museum is through the kitchen, just as it so often was when Cowper & Mrs Unwin lived here. John Newton also used this route, taking a short cut from his home at the Vicarage. Discover here how the Museum was founded in 1900 by local school teacher, author and collector, Thomas Wright & William Collingridge who donated the house to become the Museum.